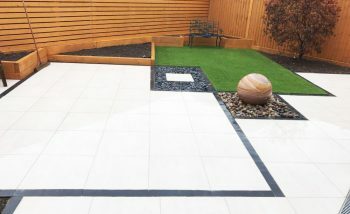 A low maintenance garden that brings the outdoors in and the indoors out, using porcelain tiles, interesting angles and water features. 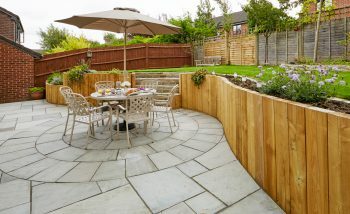 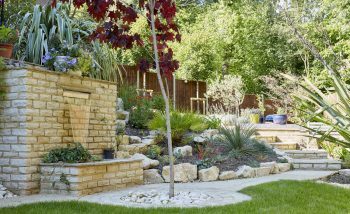 A two-tier garden that has inbuilt fluidity, and draws the eye down the garden towards different areas of planting as well as the various water features. 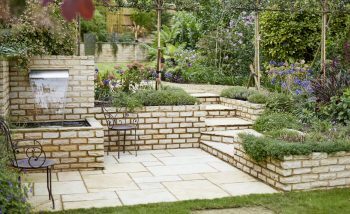 A steep two level garden with careful design was now a split level two tier courtyard-feel retreat, bridged by beautifully sculpted steps that match the main feature - the patio.